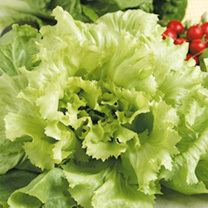 A vigorous endive (the leading one of its type in France), producing luscious green, golden-hearted plants with good bolting resistance. Sow March-July to pick May-September. 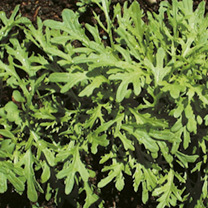 Unique and attractively dissected leaves give a hint of new potato taste followed by a sweet mustard flavour. Very productive. Height 30-45cm (12-18). 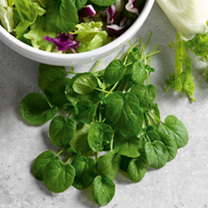 Easy to grow cut and come again salad. 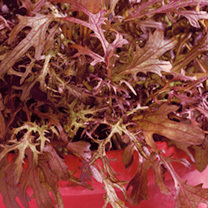 Attractive deeply cut, dark red leaves with a mild mustard flavour that will brighten up your salads! 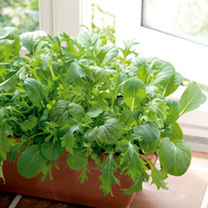 Quick growing (21-40 days sowing to harvest) and ideal for glasshouse or outdoor growing. 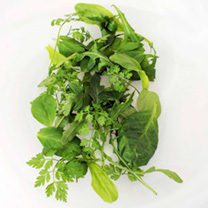 Easy to grow cut and come again salad.